Vans is going off the walls with a free concert series to celebrate the imminent start of summer. 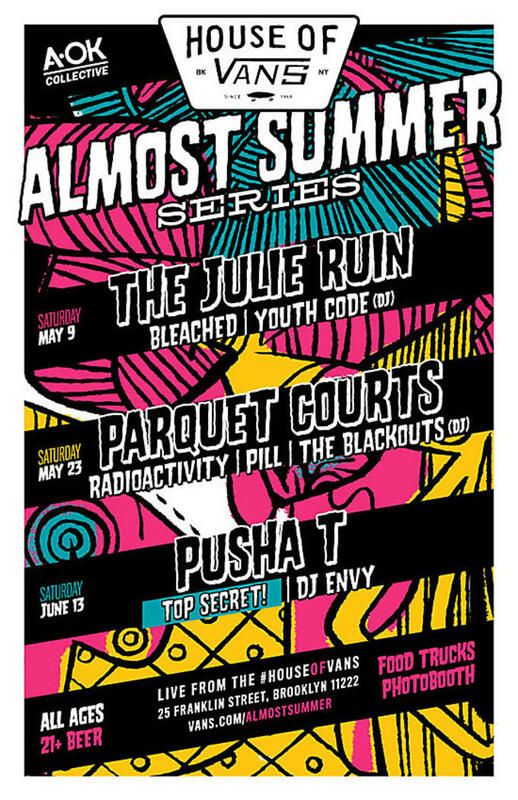 Appropriately named "Almost Summer," House of Vans Brooklyn will be hosting a series of free concerts to take place over three weekends beginning Saturday, May 9. Artists will include Pusha T, The Julie Ruin, Parquet Courts and more. To sign up head over to the Vans Almost Summer page for full details.